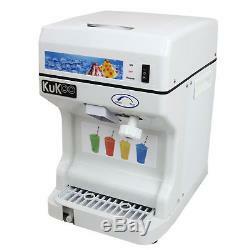 Ice Shaver Snow Cone Machine Slushie Frozen Ice Shaving Slush Commercial Maker. 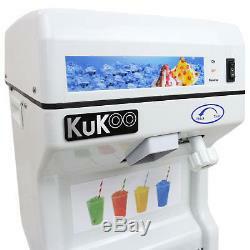 The KuKoo Ice Shaver is a unique way to draw in the crowd. 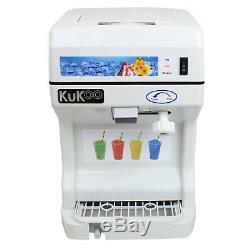 Create intricate and colourful snow cones to provide refreshingly tasty treats, or use the fine ice as a base for an elegant chocolate dessert. 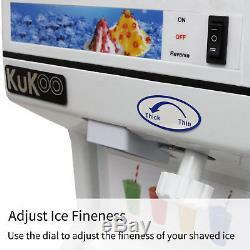 With an incredible 120kg/hour shaving capacity, the Ice Shaver will never slow you down. 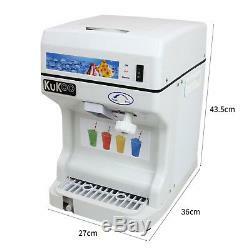 Adjust the fineness of the ice for that extra sense of control, and use the reverse function to grind down larger pieces of ice. 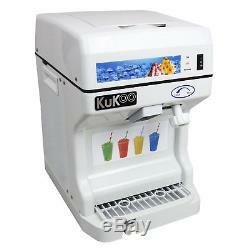 The Ice Shavers low design adds stability and anti-shake whilst the safety lid feature affords maximum user safety. 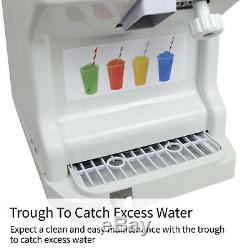 Expect a clean and easy maintenance with the trough to catch excess water, too. 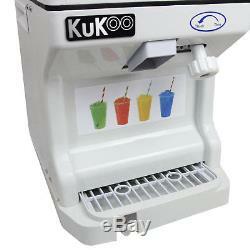 Add some flair to your kitchen with the KuKoo Ice Shaver now! 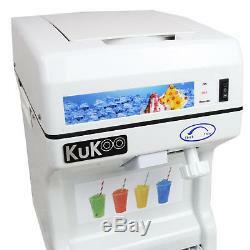 KuKoo ice shaver is perfect to create colourful snow cones, slushies, desserts & much more. 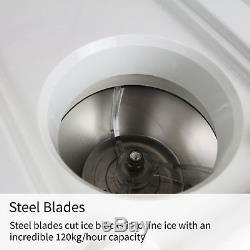 Steel blade cuts ice blocks into fine ice. 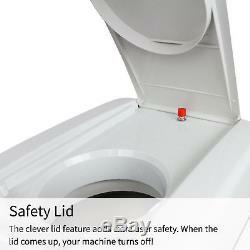 Large capacity and 320rpm results in a gigantic 120kg/h shave capacity. Adjust fineness using the dial.